Here's a map I've made of south-east Europe. The map runs from Bratislava in the north-west to Istanbul in the south-west. It encompasses all of Romania, Bulgaria, Kosovo, Serbia, Macedonia, Montenegro, Albania and Moldova, as well as parts of Hungary, Slovakia, Croatia, Bosnia, Greece and Turkey. ... that map is, of course, beautiful - but it seems to me that there is lack of rivers. It is sure that only few important ones can be depicted (used) but here is really lack or them. Yes, I think that's true. I don't like excessive amounts of rivers on heightmaps -- they can end up occupying an unnatural proportion of the map -- and I considered leaving rivers out of this map altogether. But it seemed ridiculous not to have the Danube, since this map is basically built around the Danube. However, since I've drawn the Danube, it seems ridiculous not to have other major rivers too. I shall add a few more and upload a new version soon! Ok, so I've added the Tisza, Vardar, Drina, and a few other rivers whose names I can't remember. 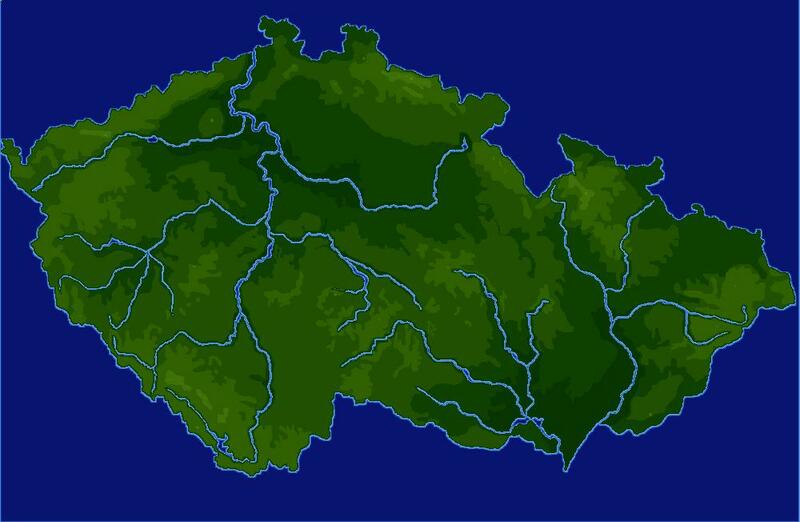 It is clear that this map of the Czech republic will stay my favourite map - but this your deed will be tested very soon. Thanks mostly for its giant size - and, of course, for adding of some important rivers. And by the way, it is not need to feel bad for that you don't remember of names of all those rivers you added. Hope you enjoy playing it! I'll be testing it out soon, too. I may upload a "scenario" version when I've placed all the major cities. I've added this map to Simutrans maps today. Thank you carlbaker, a very good map albeit a bit large. The dimensions in this version are around 1200 x 1200 instead of 2400 x 2400. Thanks for that smaller size. That giant size is surely splendid - but that smaller size would be better - for most games. I've also updated the screenshot and links in the original post. Combuijs -- if you agree that these maps are better, could you update the one on maps.simutrans.com? Many thanks! Don't thank me, I better thank you! . I will look into it, it might be at the end of the week though. OK, I've replaced the existing South East Europe map and I've added the "small" one. South-East Europe Heightmap: with cities! Here is a version of this heightmap with 336 cities placed in their real locations. All cities with a population of above 20,000 IRL are present. City populations are scaled down to 1/20th of their actual size. This archive also contains a version of Simutrans Experimental and a more developed version of the savegame. Since this is just a version of pak.german, the map may open in pak.german. I don't have a version to hand to test this. The map will open with Pak128-Britain.Ex, but you'll find that all buildings come out the same. Still, this could be cleared up if one had the will! Note also that there are two places where tracks are present on this map, but they can be easily deleted if the player's plans dictate otherwise! can you contact me per Pm please!